After a delivery of 500 cuddly dodos last week at the shop, our thoughts have turned to this poor extinct birdie with its connection to Oxford through Oxford University Museum of Natural History and Alice in Wonderland. But what of other dodos? Here are our favourite dodo links from around the web… 1. 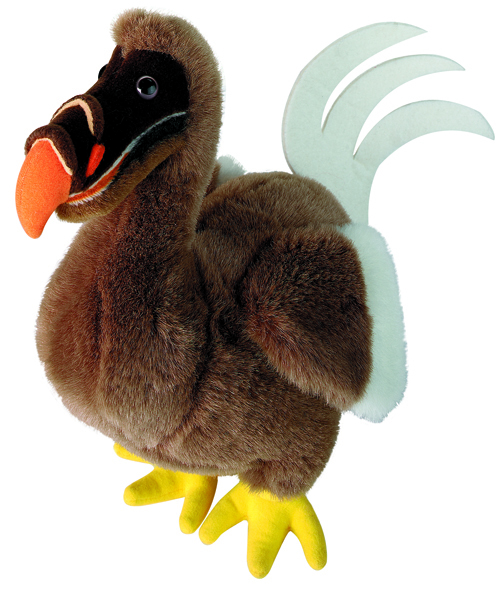 Oxford University Museum’s very handy PDF explaining all you need to know about the Oxford Dodo. 2. A fun facebook page dedicated to the 5 Alive dodo from their fruit juice ad campaign. 3. Need to get organised? Dodo’s can help when you visit Dodo Towers, home of the Dodo Pad. 4. Ever wondered how to cook a dodo? You can find out courtesy of the BBC! 5. Need to protect your iPad or Kindle from extinction? These beautiful book bound dodo cases will be on our Christmas list. 6. Find out about the dodo’s natural habitat at the Mauritian nature reserve of Ile aux Aigrettes. 7. All you’ll ever need to know about the dodo and its Mauritian home at www.dodosite.com 8. With a growing trend for crochet, this blog tells you how to crochet your very own dodo! 9. Adam Savage from Myth Busters explains his obsession with making his own dodo skeleton at TED. 10. A short animation from the Academy of Art University featuring a very cute dodo trying to survive being hunted. Let us know if you have any more, and don’t forget that we have dodos galore on oushop.com with t-towels, toys, books, magnets, ties and even a terracotta plaque!